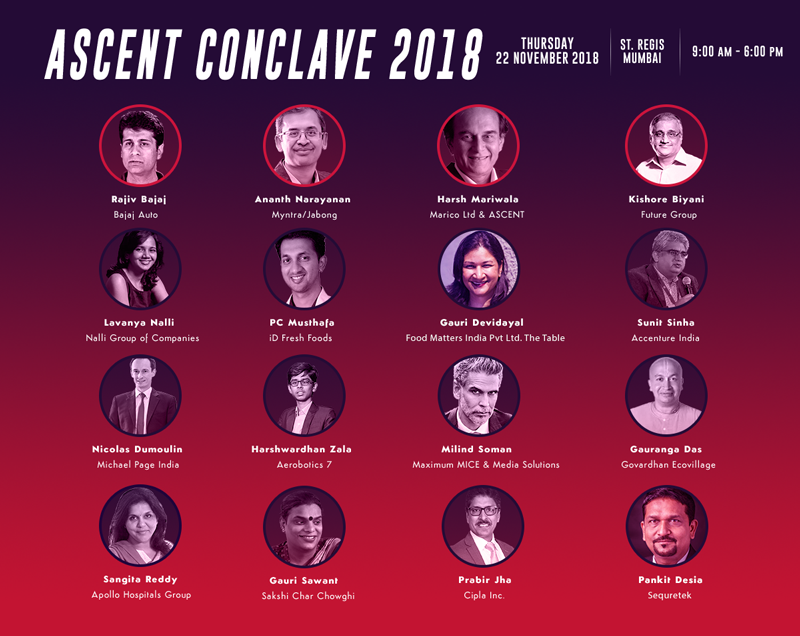 Harsh Mariwala's ASCENT Foundation is all set to host the third edition of its flagship event, ASCENT Conclave 2018, the biggest confluence that brings together India's most inspiring business leaders, industrialists and innovative entrepreneurs on one platform. This year's theme is 'Beyond the Conversation' which will focus on ways to enhance the holistic development of an entrepreneur in order to spur their professional growth. An eclectic set of established business leaders will come together for a day-long interactive engagement programme where they will share their entrepreneurial ideas, struggles, journeys and insights. The Conclave will also serve as a networking platform for over 500 like-minded entrepreneurs to engage and collaborate with some of India’s leading industry experts. Entrepreneurs will also gain valuable insights on various themes like the importance of brand building, scaling of businesses amidst challenges, people management and working toward effective leadership. This year, IIFL Wealth Management Ltd. has collaborated with ASCENT Foundation as the Lead Partner at ASCENT Conclave 2018. Celebrate entrepreneurship, empower and inspire each other, and add immense value to entrepreneurial excellence through conversations. Come, be part of India's biggest confluence of thought which promises to be bigger and better this year.